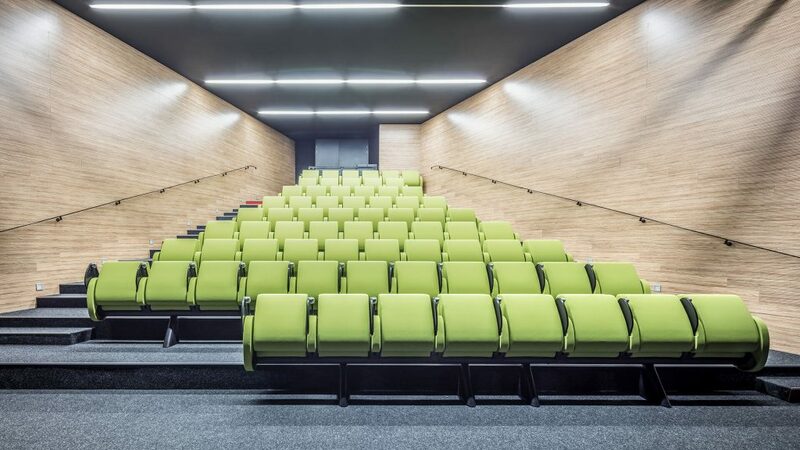 LAMM install Tulip conference armchair within “La Passerelle” new Multimedia Center, a building of exceptional architecture and a symbol of urban renewal. A new installation arranged by LAMM in a rapidly evolving context such as the French town of Vitrolles. 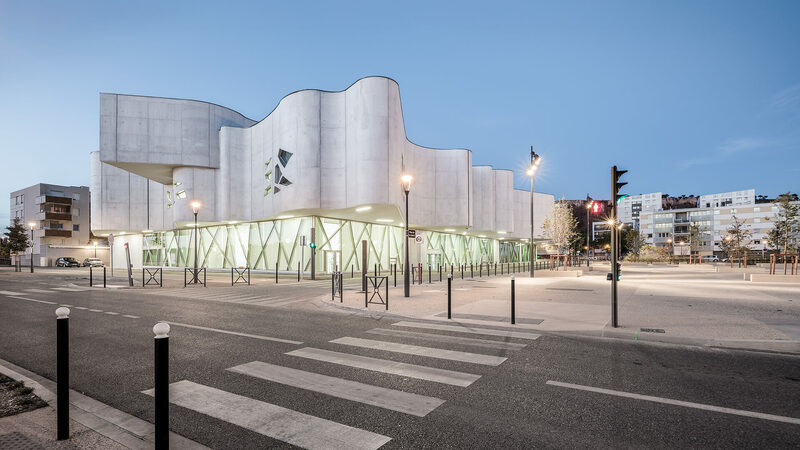 From an architectural point of view, “La Passerelle” new Multimedia Center is considered one of the most innovative and functional buildings of the town. The project, signed by the architect Jean-Pierre Lott, stands out for its eight-metre high soft curves in exposed concrete and for its wide windows, thus making the building an emblem of urban modernity. A striking and monumental architecture designed to be integrated in the urban context, but based on environmental sustainability principles. Large common areas hidden in the building modern structure make it a meeting place and cultural point of reference in Vitrolles, thanks to the numerous services and activities for the community. In this context, Tulip armchair, characterized by its compact and rounded design, confirms its adaptability to specific project requirements: installation on steps, beam fixing and first rows equipped with tip-up table. 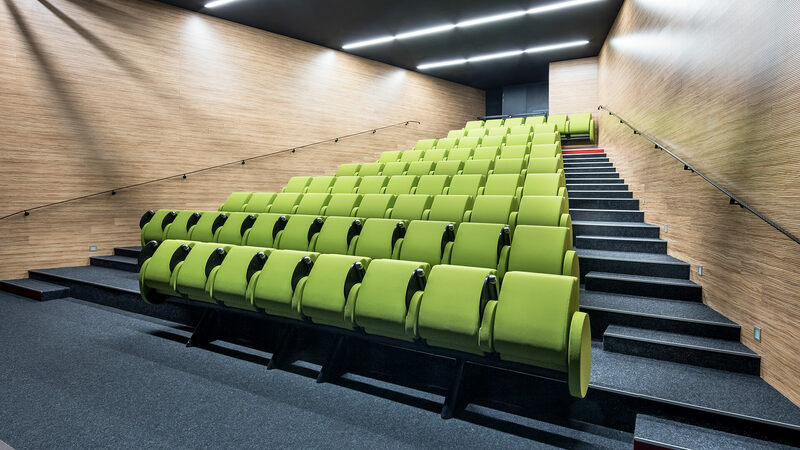 LAMM design ability shows into the perfect integration of colour seat with the functional lines of one of the main conference halls of the building. The seat elegant design is associated to an innovative synchronised opening system: when the seat is lowered, the arms are also brought down into the same position as in phase of closure. The cushioned return of the seat also closes automatically the arms shared with other positions, only when they are not in use.